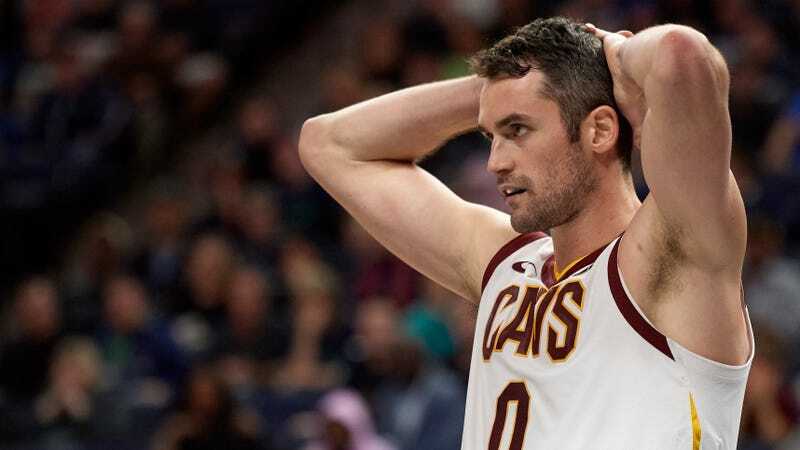 The Clippers play the Cavaliers today, and Cleveland forward Kevin Love won’t be a part of the game. If you believe the official reports, Love is out (shoulder soreness). But if you were looking at LeBron James’s Instagram this afternoon, you might be inclined to believe that Love is out (sloshed). Here’s Love commenting on LeBron’s photo today with Hemingway-esque intoxicated brevity. Sure, it might make more sense to think that Love had a few drinks after he found out he wouldn’t be playing, but maybe getting their best players loaded just hours before tip-off is all part of Cleveland’s plan to land Zion this summer. Update (7:31 p.m. ET): Love has released a statement addressing this blog.